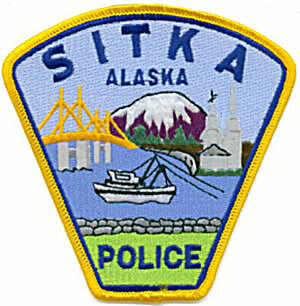 Sitka School District classes start on Wednesday, and the Sitka Police Department reminds drivers to watch for students walking and biking to school. In particular, the Sitka Police Department reminds drivers to pay special attention in school zones and near school bus stops during the morning before classes and afternoon when classes end. The Sitka School District has about 1,300 students at five schools around town. In addition, there are about 400-425 students at the state-run Mount Edgecumbe High School boarding school, which also started classes this week. Parents should teach their children the importance of looking both ways before crossing streets and other safety tips for walking. In addition, they can request free reflective tape to put on their child’s clothes (front, back and sides) and backpacks by contacting the Alaska Injury Prevention Center in Anchorage. Parents also can work with the Alaska Safe Routes To School program to help make sure popular walking and biking routes to Sitka schools are safe for students. A few years ago, a coalition of local residents developed a Safe Routes To School master plan for Sitka. Sitka does have a mandatory bicycle helmet ordinance for youth age 18 and younger, and the ordinance includes kids using scooters, skateboards and other similar devices. Finally, a reminder that the International Walk (and Bike) to School Day this year is on Wednesday, Oct. 9. It’s not too early to start planning local events to promote safe walking and the health benefits of students walking to school. The Sitka Police Department will hold a public bicycle auction at 10 a.m. on Saturday, Aug. 17, at Sitka Mini Storage Units, located at 310 Jarvis Street (above the U.S. Post Office). The lost-and-found bicycles will be sold as is and with all sales being final. To claim a bicycle prior to the auction, you must contact the Sitka Police Department no later than 4 p.m. on Thursday, Aug. 15, with proof of ownership. Sitka Trail Works Inc. and Allen Marine are teaming up to offer a bike and hike adventure on Kruzof Island this Sunday, Aug. 11. An Allen Marine catamaran will take cyclists and their mountain bikes from Sitka to Mud Bay on Kruzof Island, with the plan to ride five miles along the Kruzof Island logging roads and then hike another 1 1/2 miles from the Shelikof Bay Trailhead to Iris Meadows (total round-trip distance is 10 miles biking, 3 miles hiking). The boat leaves Sitka at 8:30 a.m. (load at 8 a.m. at Crescent Harbor) and returns from Mud Bay about 4 p.m.
Sitka Trail Works board members Charles Horan and Roslyn Dailey will lead the group. Participants should bring their own bikes, or rent one for the day. Kruzof Island is located about 10-15 miles from downtown Sitka, and the island is dominated by Mount Edgecumbe, the dormant volcano that is a major feature in Sitka’s landscape. 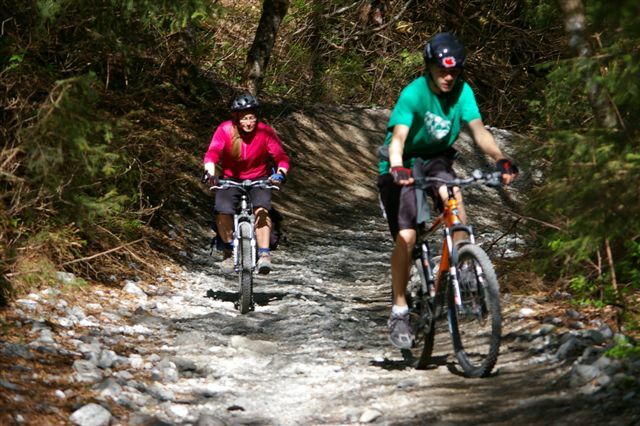 Sitka Trail Works is the non-profit organization that builds and maintains a variety of trails in Sitka, along with hosting several hiking and biking events throughout the year. Sitka Trail Works requests a $100 donation to cover costs, and people can call the Sitka Trail Works office at 747-7244 to reserve their space. There is limited space on the boat for this trip, and it usually fills up fast.